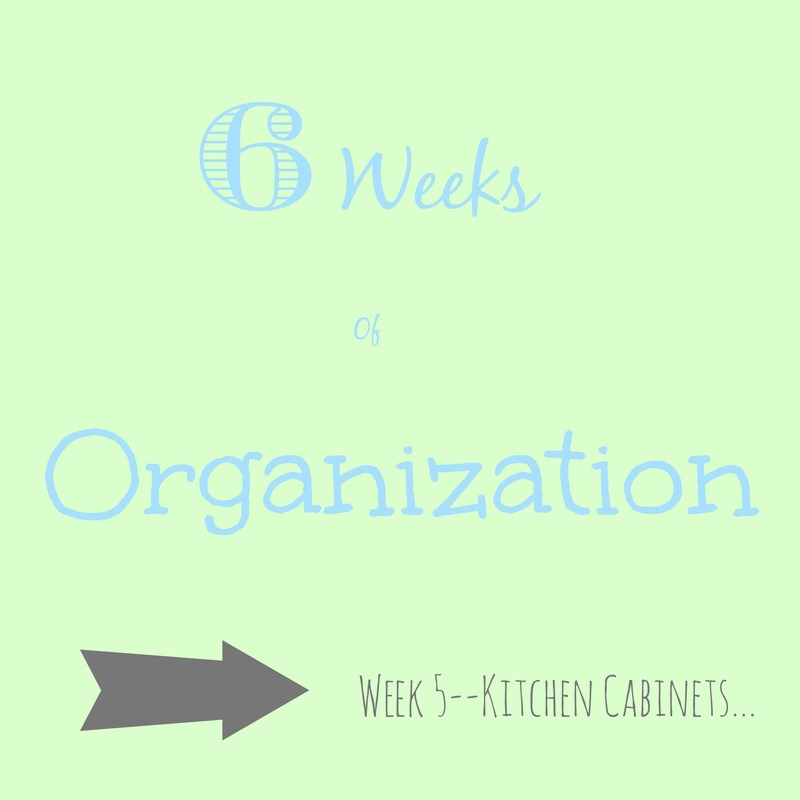 Last week I showed you how I organized my fridge and pantry, this week I’ll show you what I did with my kitchen cabinets and drawers. I don’t know about you, but I hate not being able to find things in drawers. There is nothing more frustrating than needing an item that you know you have SOMEWHERE, but you just can’t find it. ESPECIALLY when it comes to cooking! 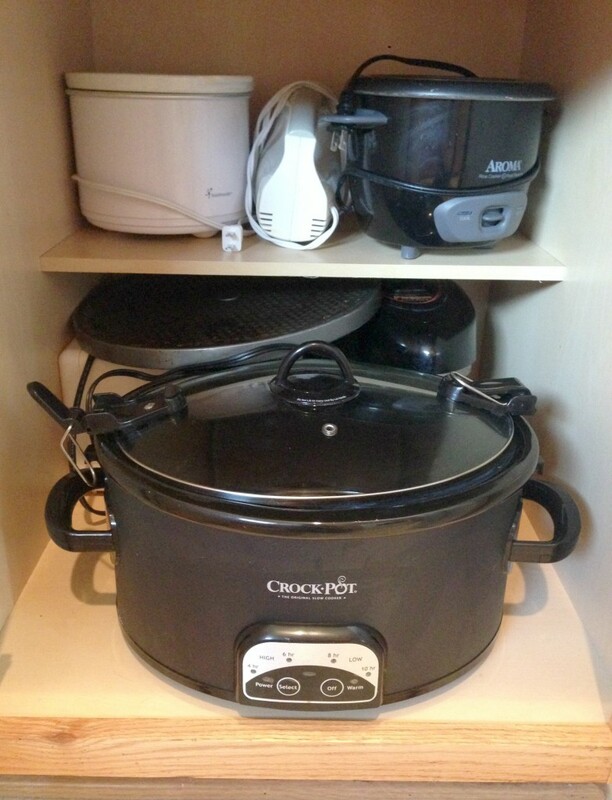 When we first moved to this house, I took an entire day unpacking and arranging my kitchen in a way I figured would work best with how I cook. And so far, the layout has worked out well. The only problem was, the drawers and cabinets didn’t stay organized. Of course, there are only 2 people living in this house, and I know I put things away where they go. So that means, unless the cats or dog decide to rearrange things when I’m not around…my husband is the culprit. So when it came to organizing the drawers this time around, I had him in mind. He is very visual, so I wanted to make sure he could see everything when it came to putting things away. I started with my silverware drawer. 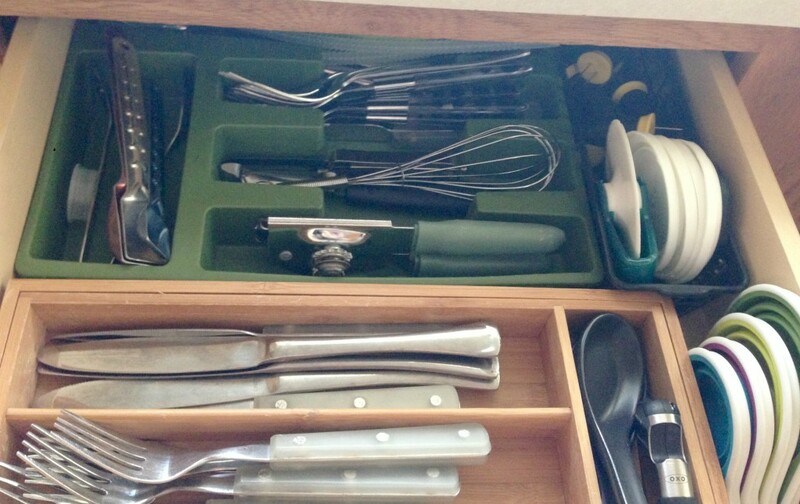 I originally only had one utensil divider in this drawer, but as I was brainstorming as to how I could make this easier to keep straightened, I remembered an old green divider my mom had given me when I first moved out–yes, I’ve held onto this ugly thing for that long. I knew exactly where it was, not doing me any good, so I dug it out, and miraculously both dividers fit BEAUTIFULLY in the drawer. 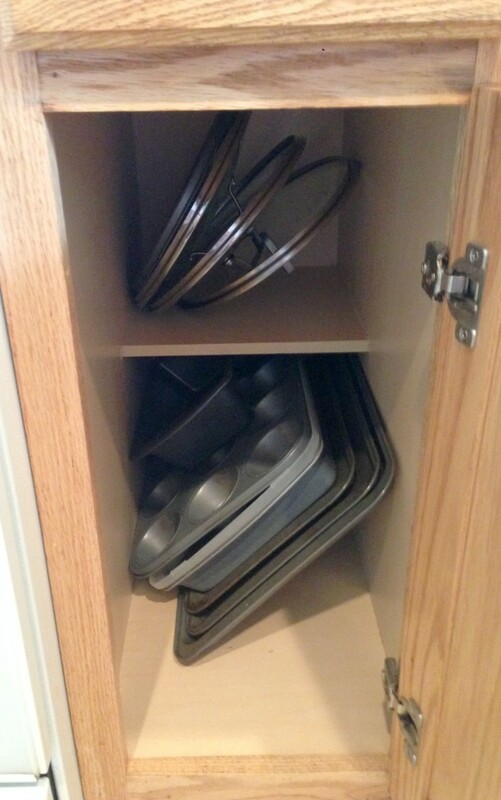 It was like the organizing gods were smiling down on me. Ok, maybe that’s a little extreme for such a small accomplishment, but believe me, I was ecstatic. So I went about getting everything in place. I was finally able to separate out the BIG forks from the smaller forks. You have no idea how much this has been driving me CRAZY! 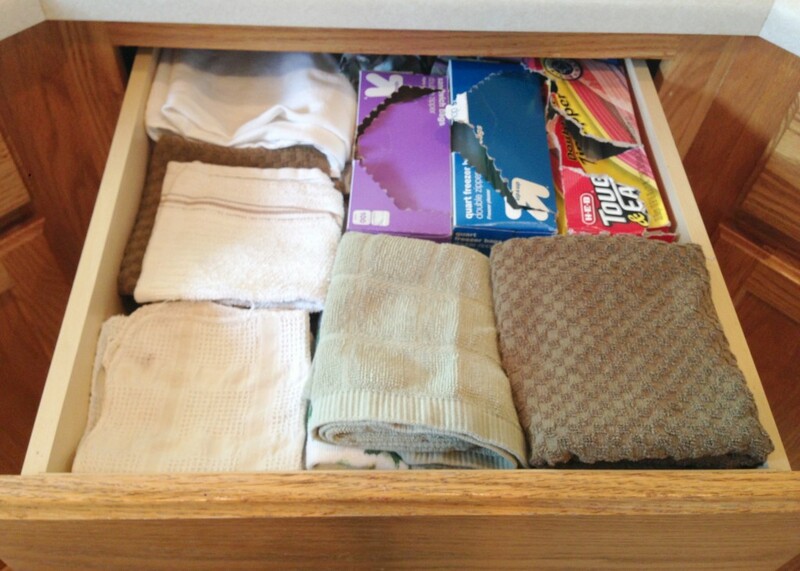 As for the linen drawer, again it’s nothing fancy, but it’s amazing what a difference it makes when everything is folded the same way. 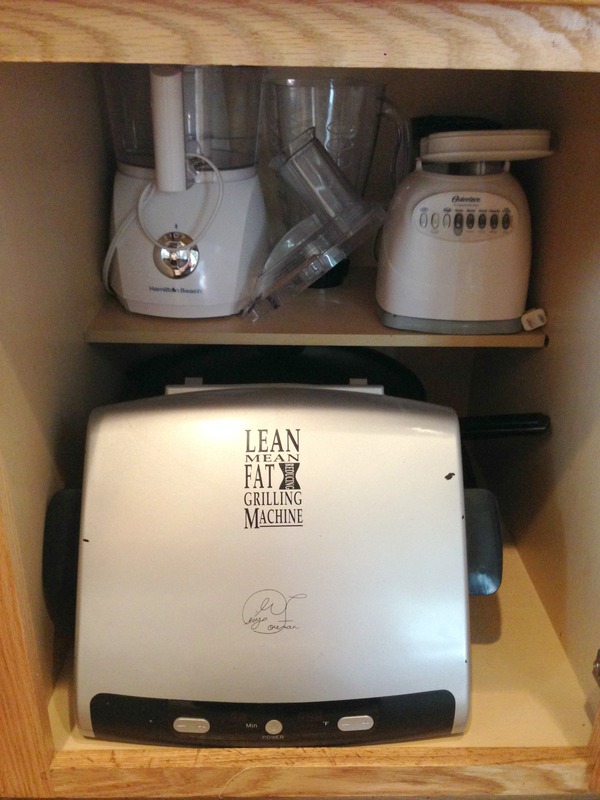 We also house our freezer and sandwich bags in this drawer. 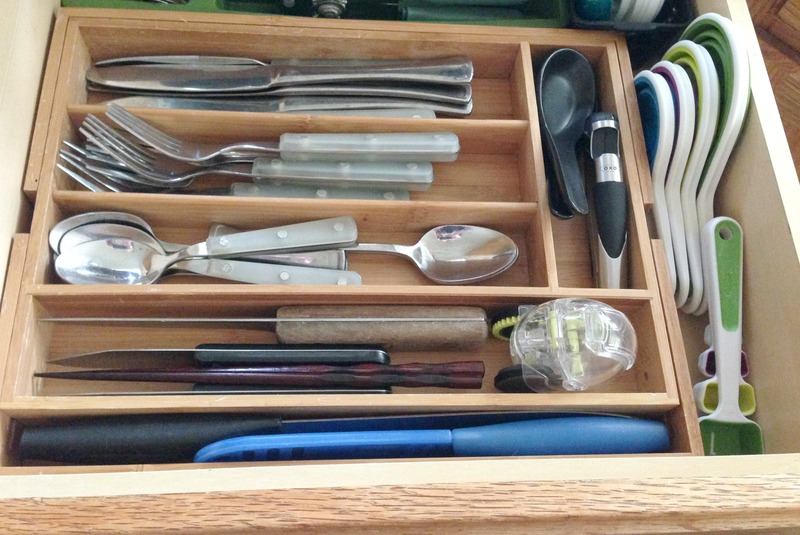 Finally, the extra utensil drawer! 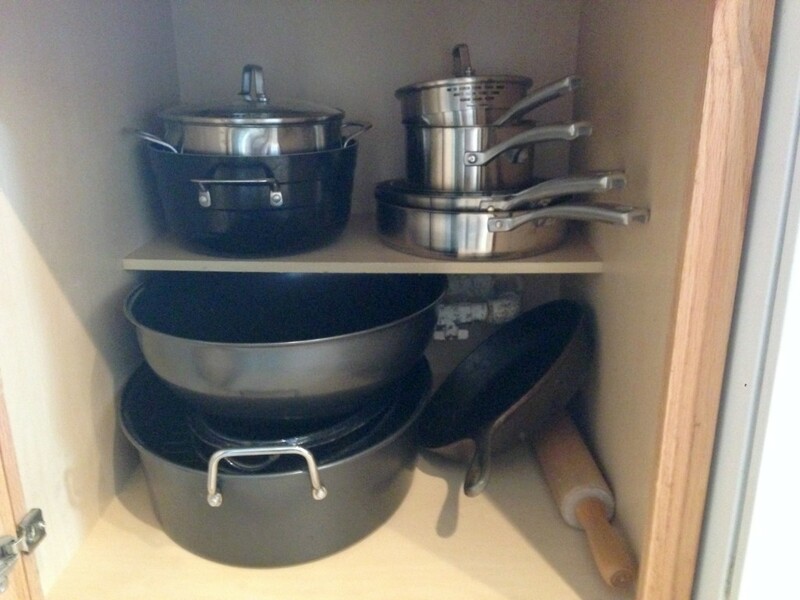 This is where I keep my cutting boards, and miscellaneous kitchen gadgets. Believe me, this baby can get really messy, really quickly if I don’t stay on top of it. Luckily, these baskets I’ve had for a few years saved the day. 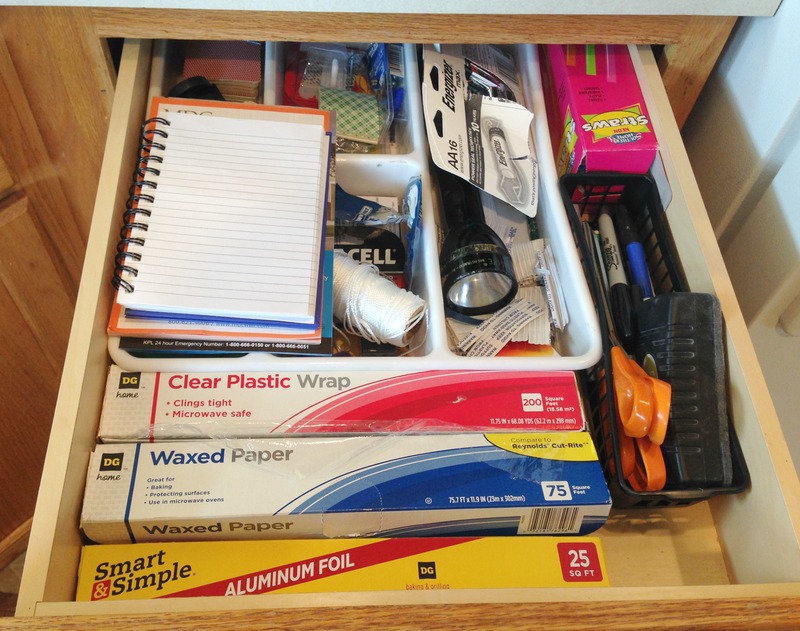 These things can be arranged many different ways, in any size drawer, don’t cost much, and help keep you sane. I think I got them at Target in the dollar spot about 2 years ago. It’s much easier to see everything this way, then if you just threw it all in a drawer. After I was finished with all of the drawers, I tackled the lower cabinets. 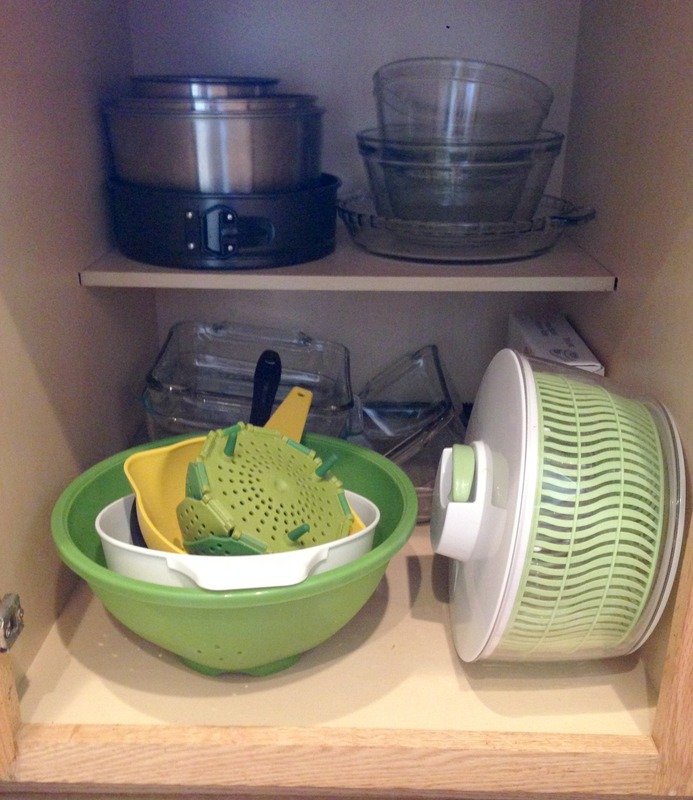 Lucky for me, my upper cabinets that house our dishes and Tupperware all stay pretty well organized. All I did was take everything out, one cabinet at a time. I wiped out the inside and the door fronts on each one before putting things back in. This allowed me to straighten everything up. Lastly, I took on the dreaded cabinet under the sink. This was my least favorite part of cleaning out the kitchen. No matter how I arranged everything, there’s no pretty about it. Unfortunately, at some point in our rental house’s life, there has been a leak under the sink that ruined the bottom of the cabinet. The finish is coming off and the surface is warped. Oh well, it’s just a rental right? It had crossed my mind that I could spread shelf liner or contact paper on the bottom, but I really didn’t want to spend the time or money on it. After all, we aren’t going to be here forever. Since he had cleared it out for me all I had to do was re organize my baskets and put everything back. I laid everything out first. 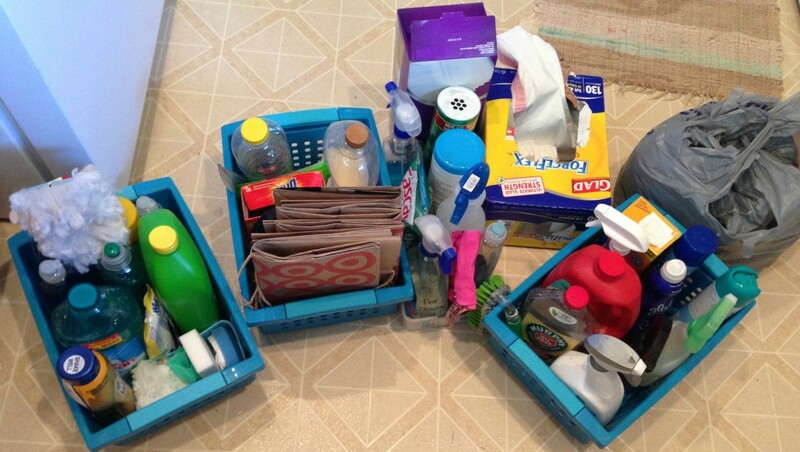 I got rid of anything I wouldn’t use and consolidated cleaners that I had in multiples. 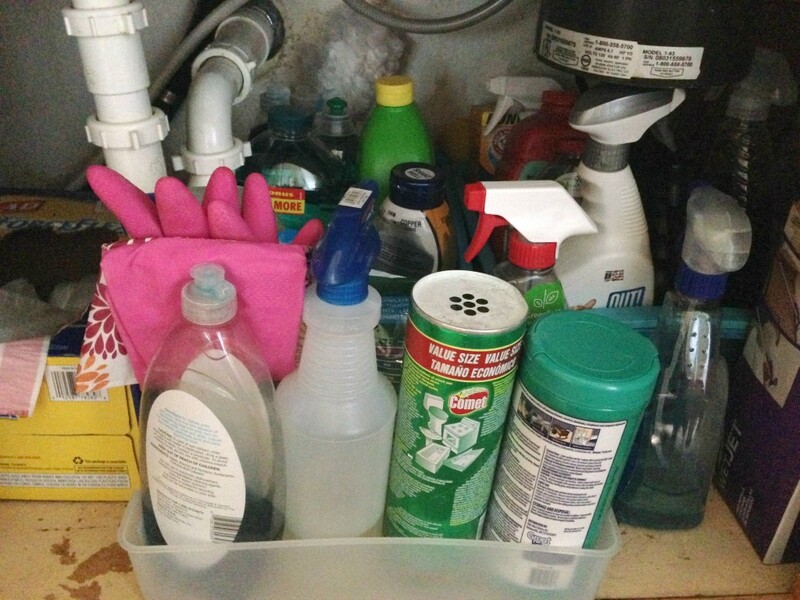 I relocated things that didn’t belong under the sink–like car febreeze and glade plugins that I didn’t know I had. Then I separated everything into categories. 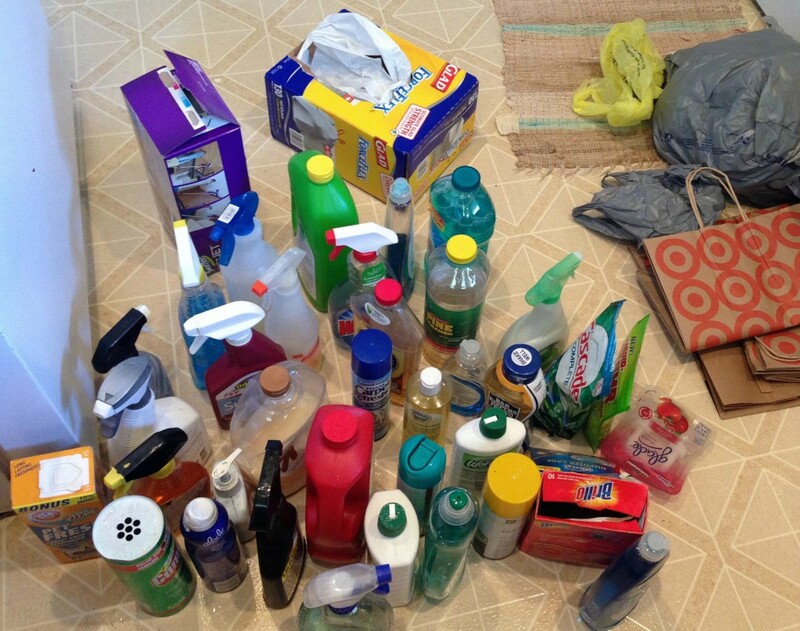 Things I use frequently, things I use regularly, floor cleaners, and things that aren’t used often. Next I just put them back as neatly as I could. 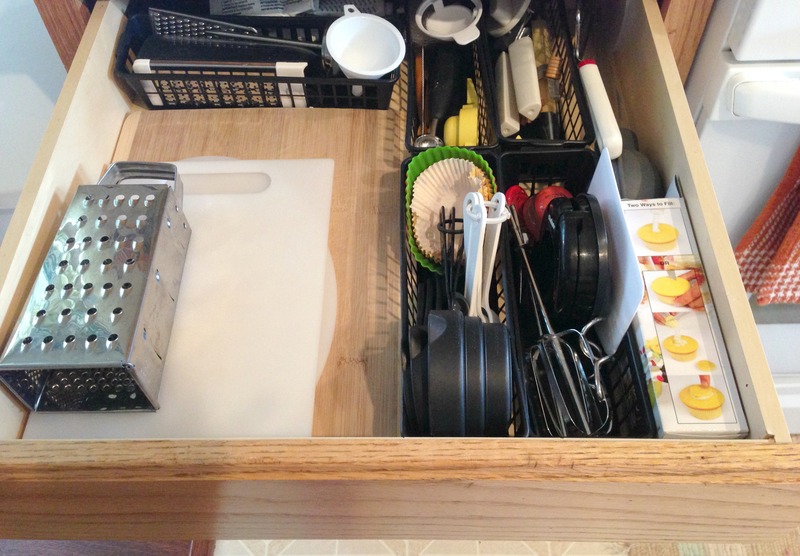 It’s an oddly shaped cabinet, so there was no easy way to organize it. Not to mention that hideous garbage disposal hogging up all of the head space! And now we have a clean, organized kitchen that I can cook (and clean) in without scrambling to find things.